​we promise to keep up with the good work. 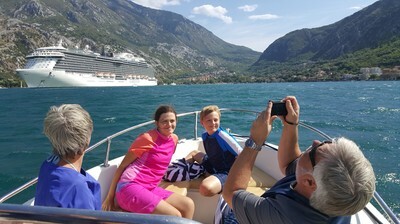 I found Kotor Private Tours and Excursions via their excellent feedback on Tripadvisor and booked the Kotor - Perast and Our Lady of the Rocks by Speed Boat Excursion via their website. I paid a €50 deposit in advance via PayPal to secure our tour which was straightforward. The balance was paid after our tour. Liset was extremely responsive to my emails and questions which put me at ease about booking the tour with this company. 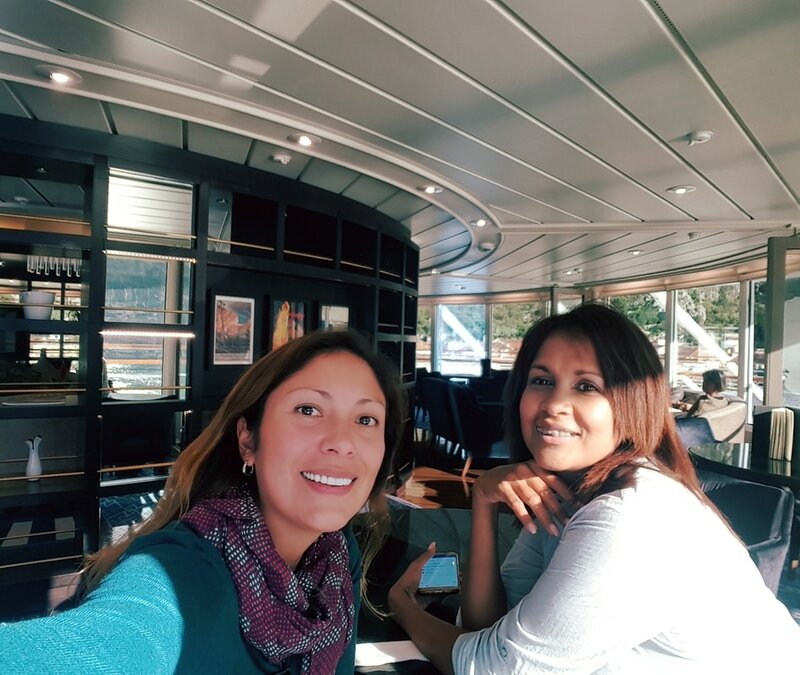 We arrived on our cruise and were met promptly by Jelena off our ship. Jelena was fun, informative and spoke excellent English. It was obvious that her priority was to ensure that we had a memorable time and she was patient and thoughtful in dealing with the different needs/speed of our group (grandparents, parents and teenagers). 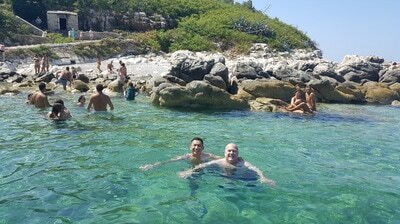 Straight after meeting Jelena we walked to our speedboat (1-2 minutes) which took us directly to Our Lady of the Rocks island. We were the only people there when we arrived which was wonderful! Jelena explained the history of the place and we had ample opportunity to take uninterrupted photos as we had avoided the crowds. 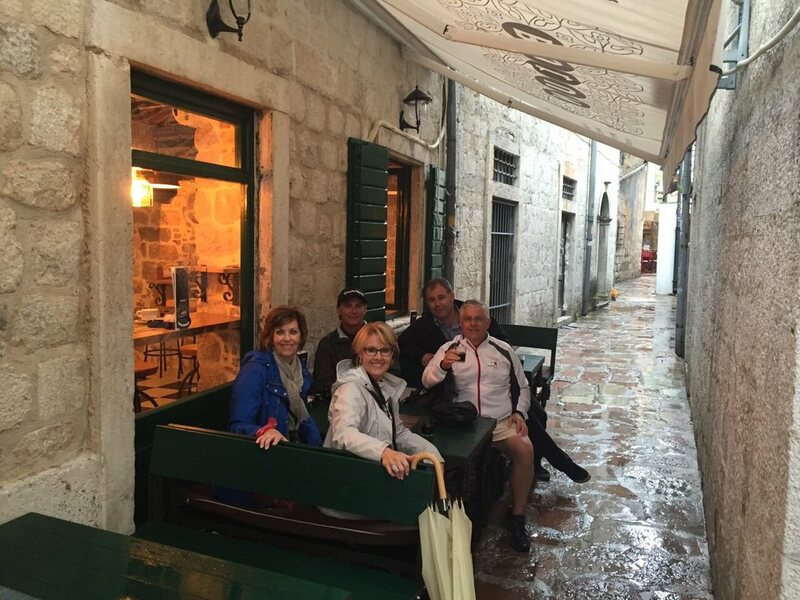 We then visited the nearby town of Perast by boat and had time to take a swim, walk around and have a coffee break. We then continued on by boat back to Kotor where we entered the ancient town and did a walking tour with Jelena. We visited numerous ancient churches, squares, palaces and the wonderful museum in the town. Jelena was really informative about the history of Kotor and made sure we all moved along at a pace that suited our age-varied group. 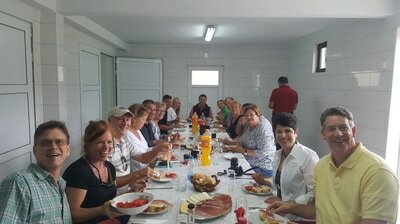 We ended our tour after 4.5 hours which was perfect timing as we were ready for lunch and to take a break from the sun. 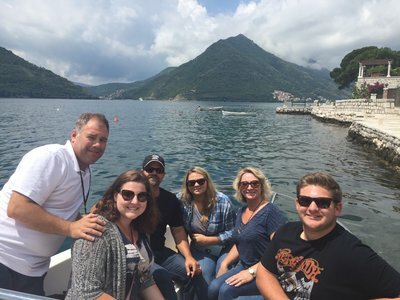 I highly recommend Kotor Private Tours for beating the crowds and seeing the best Kotor has to offer in a short space of time. ​From the moment we contacted Liset, she was responsive and helpful in answering questions and giving a detailed explanation of what our day would entail. Even though we had arrived by cruise ship, the private speed boat ride to visit the Lady of the Rocks Church/Perast was spectacular and allowed us to see the Bay of Kotor from a very unique perspective. The land portion of our tour included a driver and was equally great. Liset was professional, informative and knowledgeable down to every detail. 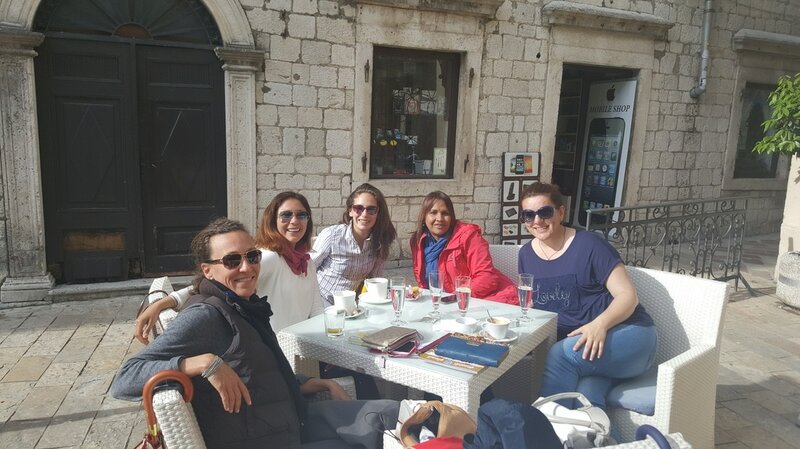 We chose to spend less time in Budva so at Liset's suggestion, we visited and lunched in the new and beautiful Porto Montenegro and the adjacent town of Tivat. 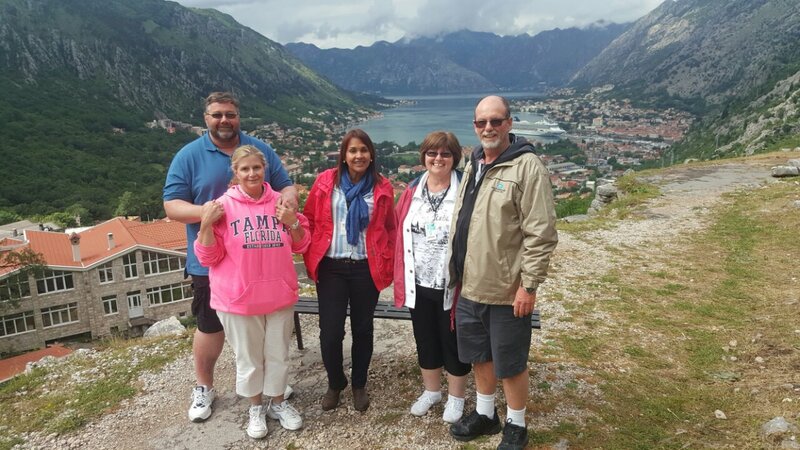 Liset and our driver were flexible, personable and provided an overview of Montenegro that we certainly would have missed had we simply chosen to walk around Kotor. 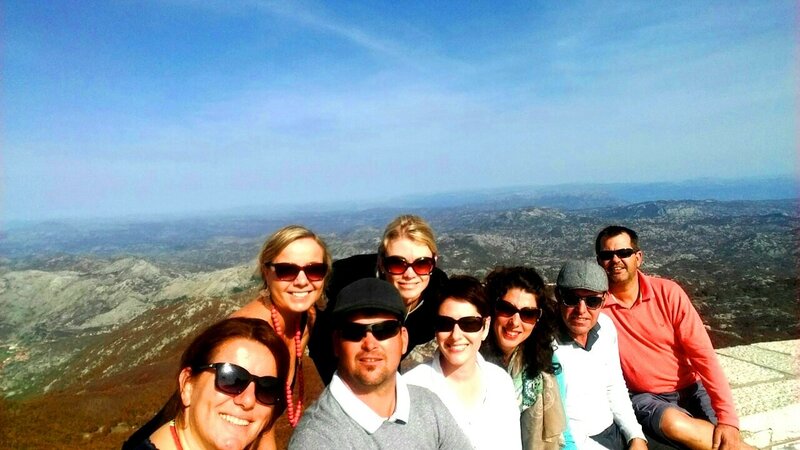 The views from above the port and surrounding towns were incredible and capping off our visit to this beautiful country with a personal tour of the old town was the perfect ending to a great day. Thank you! 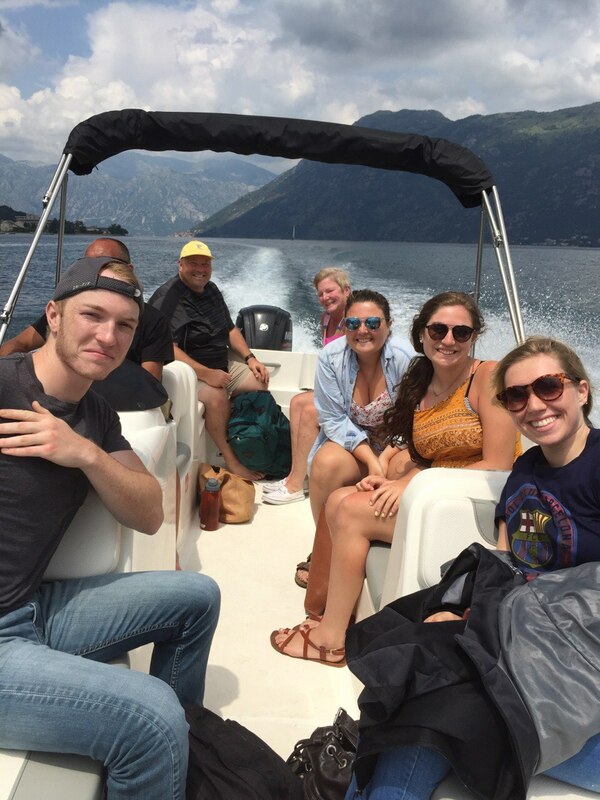 “Wonderful experience for our group of 11 people.” Reviewed June 23, 2016Every aspect of the tour was handled very professionally. 11 of us in a very comfortable and clean bus. 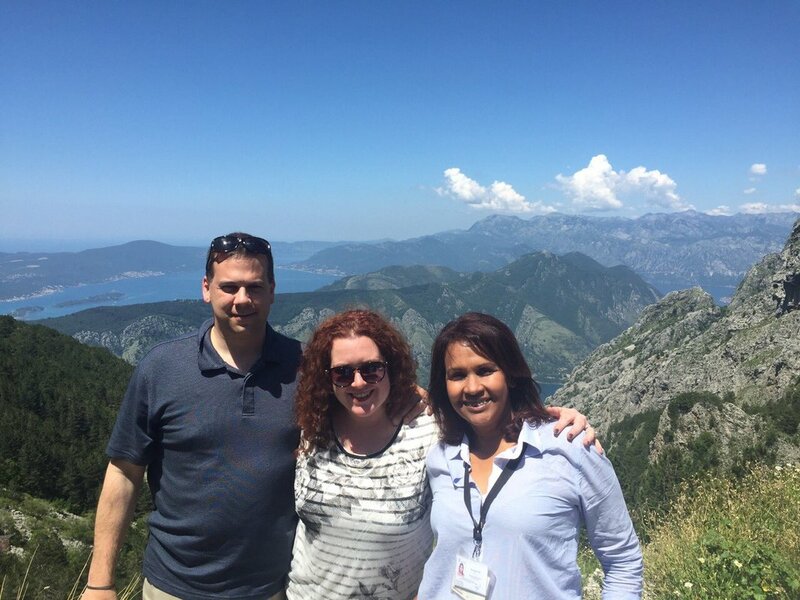 Liset enhanced our experience of Montenegro greatly. A beautiful country indeed. She spoke very clearly and knew the different towns and their history very well. Liset was also very responsive prior to the trip booking all the arrangements. ​We decided against the inflexible, expensive tours offered by our cruise boat. Having read TA reviews for this company we prebooked a private tour for the 6 of us via the internet. Liset was very helpful with the mail arrangements. We were met, as arranged, by Nella at the port gates. 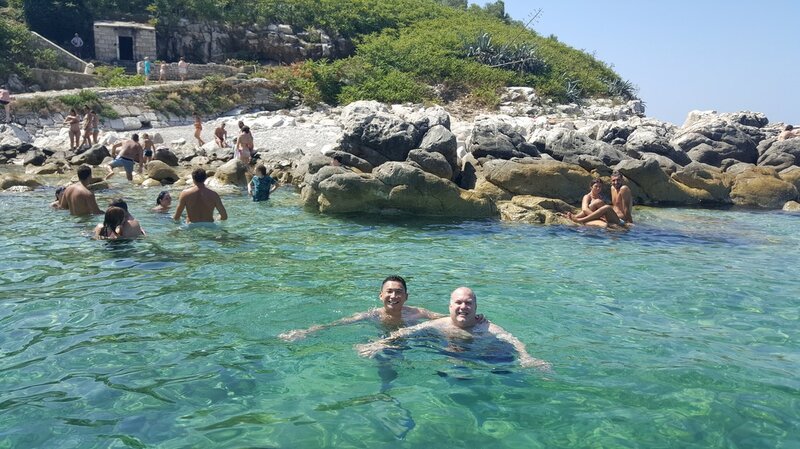 Then a short walk onto our private speed boat with a driver & Nella and a very fast trip out of the bay, passed all the main sites to a lovely cave (the Blue Cave) where we were able to swim off the boat. I would advise caution here as lots of boats enter the cave whilst people are swimming. However, it was great fun. Then off to a lovely cove with a pebble beach and restaurant. At all times we could spend as long as we wanted at any one place. There was never any fear that they would not get us back in time to meet the cruise ship. Kotor was the best part of our cruise, fantastic if you like beautiful, green scenery plus lovely old towns to visit (Kotor, Perast), super swimming and walking trips. 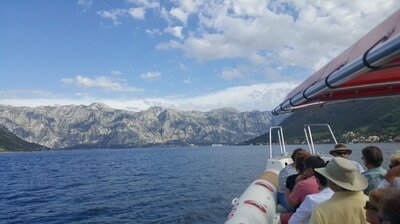 This day was an amazing and a very nice way to see Montenegro. It was fun and our skipper was so nice. We would do it again next time we are comming to Montenegro. Also the blue cave was nice to swim in. 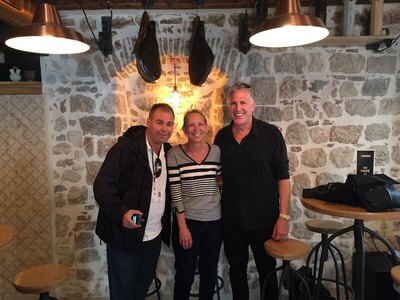 ​My husband and myself had the privilege to have a tour with Daniel. 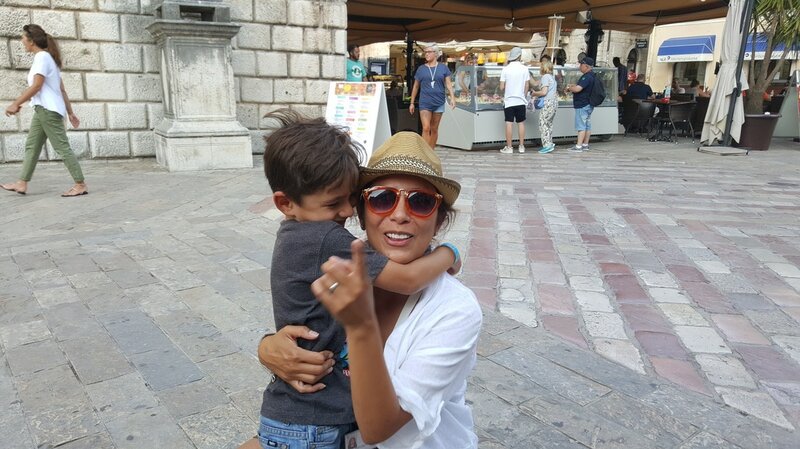 We arrived in Kotor and Daniel was waiting for us. We took a speed boat to our lady of the rocks then had a cappuccino right on the water in Perast. We had a leisurely walk through the small town all the while Daniel making us feel comfortable like a old friend. 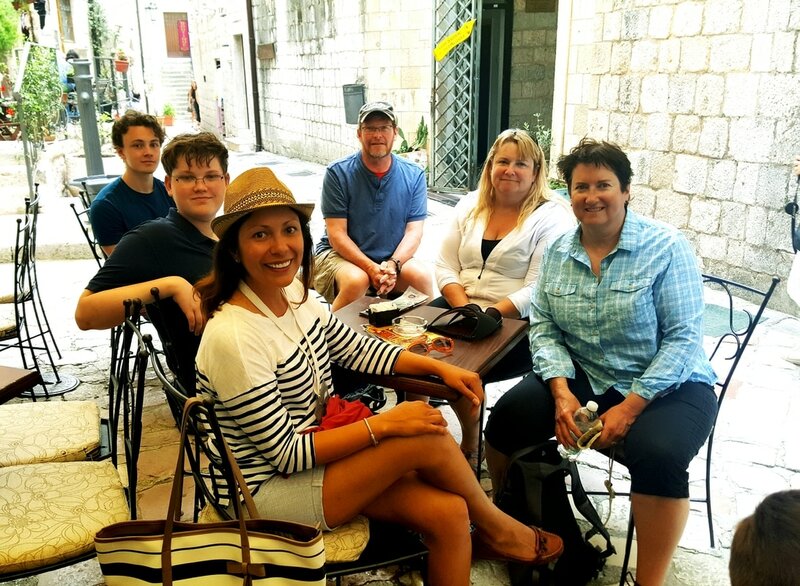 We returned to Kotor did a walking tour of the old town, Daniel was a wealth of knowledge and my husband and I learned a lot. We stopped by the market for the most delicious strawberries. When our walk was through we went to a local restaurant had a delicious lite lunch at Bokun, a small restaurant very delicious, owned by a local family. Daniel's wife Liset helped us set up the tour and was very attentive to our needs. After the tour we got to meet her which was very nice. Thank you Daniel and Liset for a beautiful tour in a beautiful place. 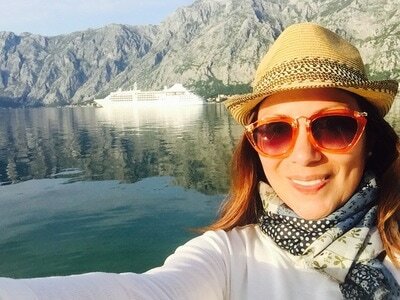 If you are going to Montenegro do not hesitate to use this company you will not be disappointed. Thank you Daniel and Liset. 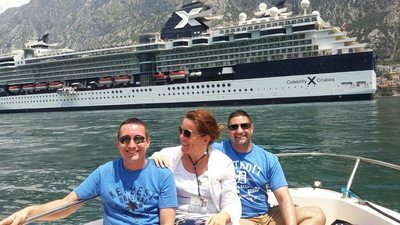 ​Fortunately We were part of a private tour rather than being on one of the massively over priced ship excursions. 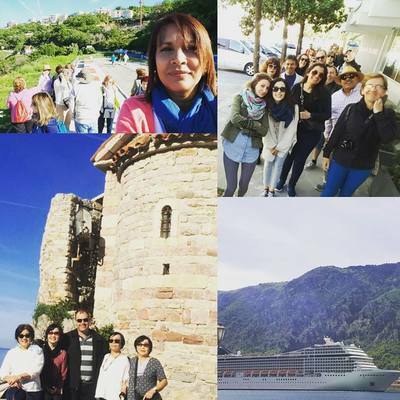 We were greeted at the port by our fabulous tour guide Lisette. We took a short stroll around to where our speed boat was parked. From here we took a beautifully scenic boat ride around to Perast, a gorgeous little seaside town, we had time to walk around and take in the beauty, learning of the history along the way. From Perast we jumped back on our boat and headed to our lady of rocks and to a lovely little church rich in history, we learnt the story behind the Virgin Mary painting that takes pride of place in the altar. Lisette our guide was so knowledgable and educated us all about Montenegro's history and all there was to know about Kotor and its surrounding areas. 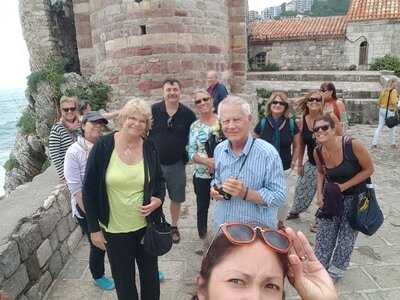 We ended our tour by taking a walk through the old town where we learnt more about its rich history. All in all we were extremely happy we chose to see the sights of Kotor with Kotor private tours. Thanks again Lisette. 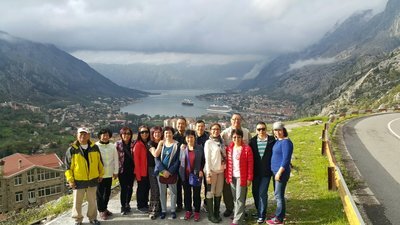 ​I found Kotor Private Tours on internet when searching for a tour operator that would take us around in Montenegro for a day upon arrival by cruise ship in Kotor. I contacted Liset and received an immediate response with a proposal and a fee quote. I made an advance payment of USD 50, and as agreed met with our guide Daniel at 9 am. 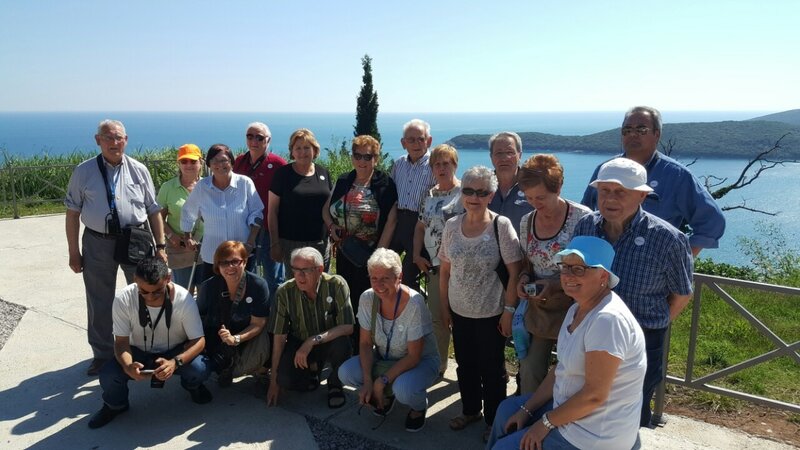 Our tour took us to Sveti Stefan, Budva, Lady of the Rocks (two small in Islands in the bay of Kotor), Perast and Kotor. 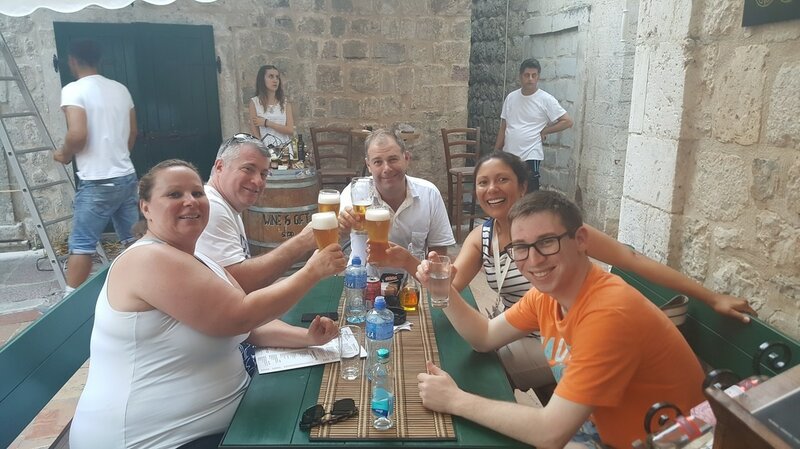 Daniel is very knowledgeable about Montenegro's history/culture and explained a lot about it; it was indeed a very interesting day with him. In Perast Daniel recommended two restaurants for lunch, we chose the better one, Hotel Conte, which served delicious food and wine on the terrace by the sea. 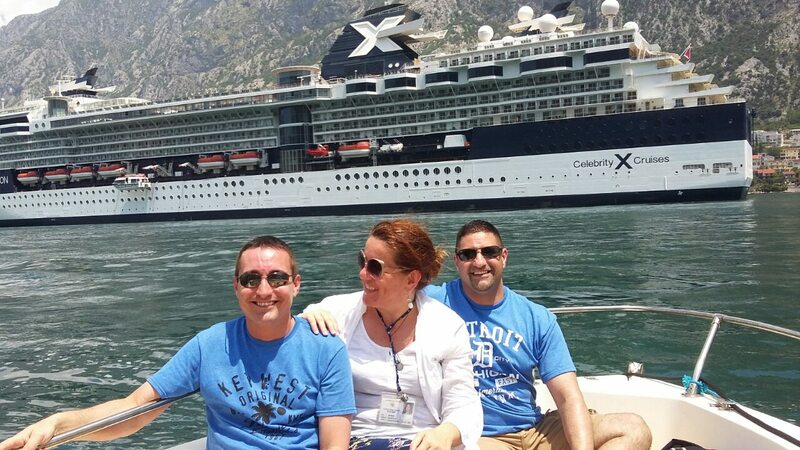 We fnished our sightseeing in Kotor, which gave us planning certainty as we had to be back on the ship by 5.30 pm. All in all a very exciting day and perfectly organised. We were only the two of us, so such a private tour has its price, but it was well spent and we have no regrets. I would recommend Kotor Private Tours to anyone who really wants to explore of this lovely country; they were prompt, reliable, very friendly and Daniel spoke excellent English which is really a great asset. Thank you Liset and Daniel for making our day such a success! ​Our family of four had a spectacular day! The Mercedes minivan was extremely comfortable and roomy. English was perfect as Daniel had lived in Florida and Texas for numerous years. Fun, interesting, engaging, and delightful. Daniel took real pride in showing off his country. 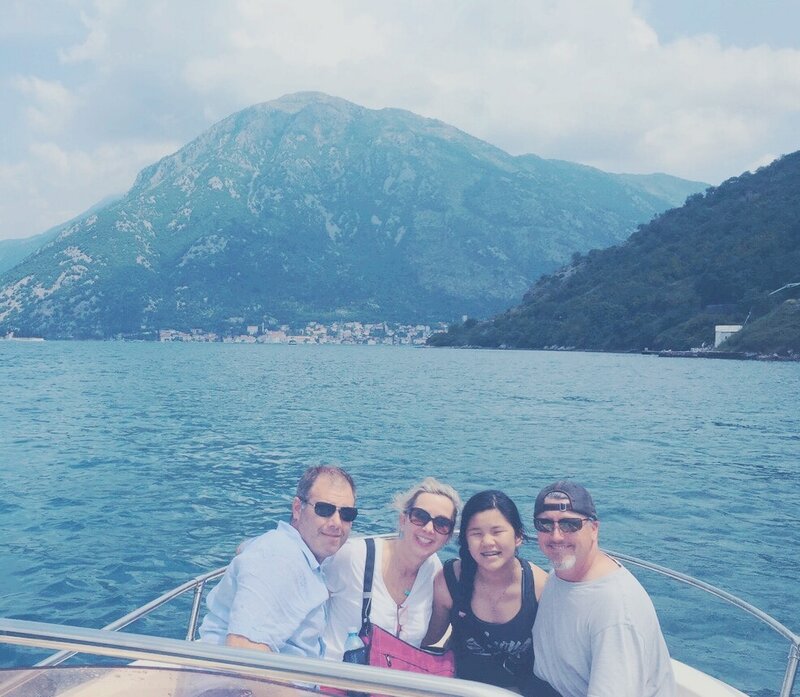 We travel all over the world and have the benefit of staying in high-luxury resorts and Kotor Private Tours is the perfect complement to the 5-star vacation! 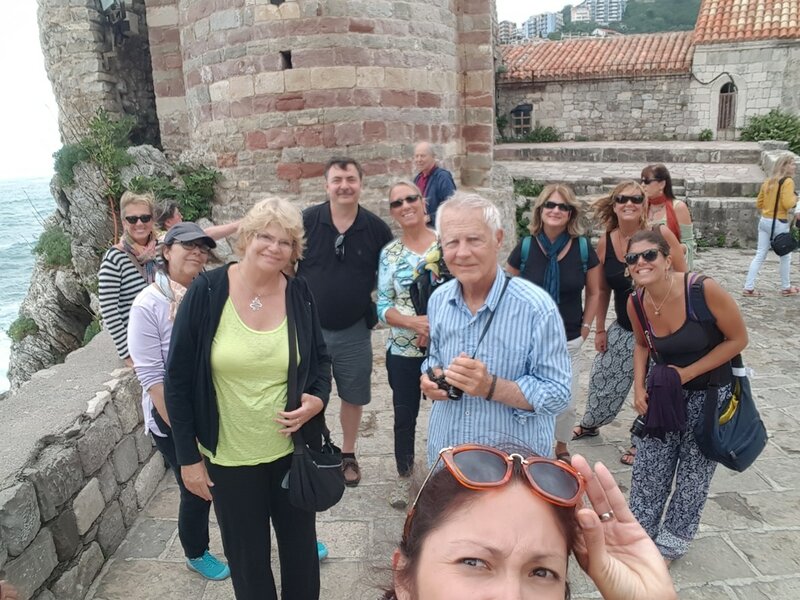 Do not hesitate to book with Kotor Private Tours! Words cannot describe how beautiful this place is. Daniel met us right outside the ship and we were led to the waiting boat. It was a bit surreal as we were the only ones in the bay as we went to the Lady of the rock. We arrived before the flood of tourist and toured the beautiful church. 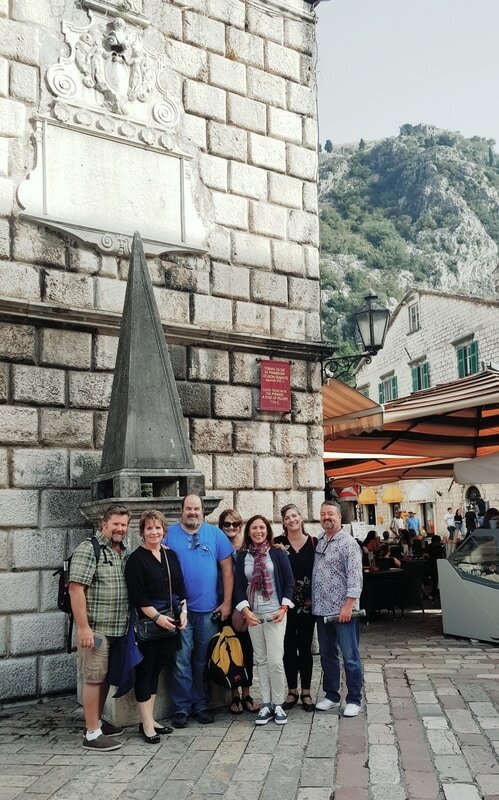 We really enjoyed the walking tour of Perest & Kotor. This was our favorite stop and really hated to leave. 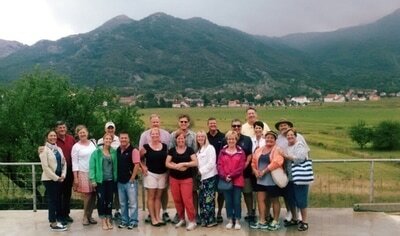 Highly recommend this trip with Kotor Private Tours. Thanks Daniel for a wonderful day. Maybe next time we will get to meet Liset? What beauty your eyes will take in. Surrounded by incredible mountains a gem is found. We did the half day boat and walking tour. 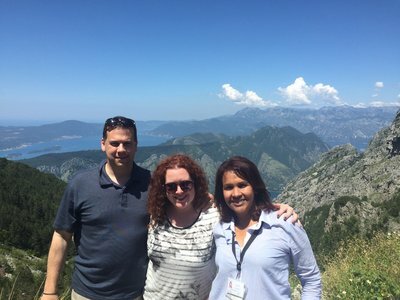 The greatest tour guide there ever was, Jelena, was waiting for us when we got off the ship. She is a wealth of knowledge and extremely friendly and energetic. 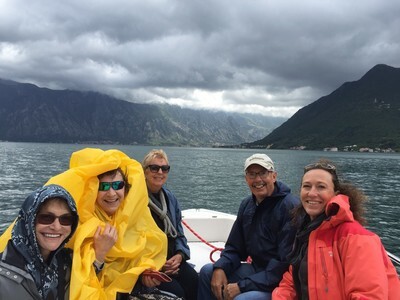 We started off with a great boat ride to Our Lady of the Rocks which is incredible and then took a short boat ride to the small town of Perest. Here we sat at one of the outdoor restaurants on the water and had drinks and took in the exquisite scenery, we could have stayed there for days. 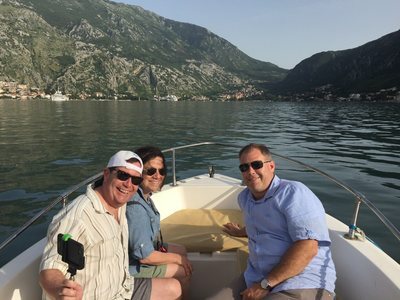 Next a boat ride to Kotor where Jelena filled us with the knowledge and sights of the walled off old town which we then explored. We did not want her to go, it feels like leaving a very close friend that you have known for life. But before she left she recommended a great restaurant that we fully enjoyed. Thanks again and if you get Jelena let her know old friends are thinking of her. We would definitely do this tour again. We arranged this tour on the Internet very easily and efficiently. We sent a deposit of 50 euros and paid the rest to Daniel at the end of the tour. .Daniel met us at the cruise port with his great 4x4 .He was a lovely guy, knowledgeable and friendly. We had booked a private tour for 4 hours. 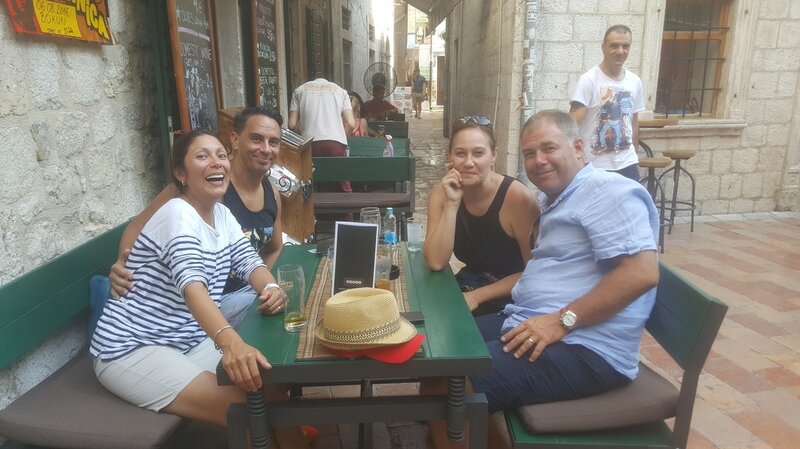 He spoke perfect English and gave us a great insight as to the history and culture of Montenegro. 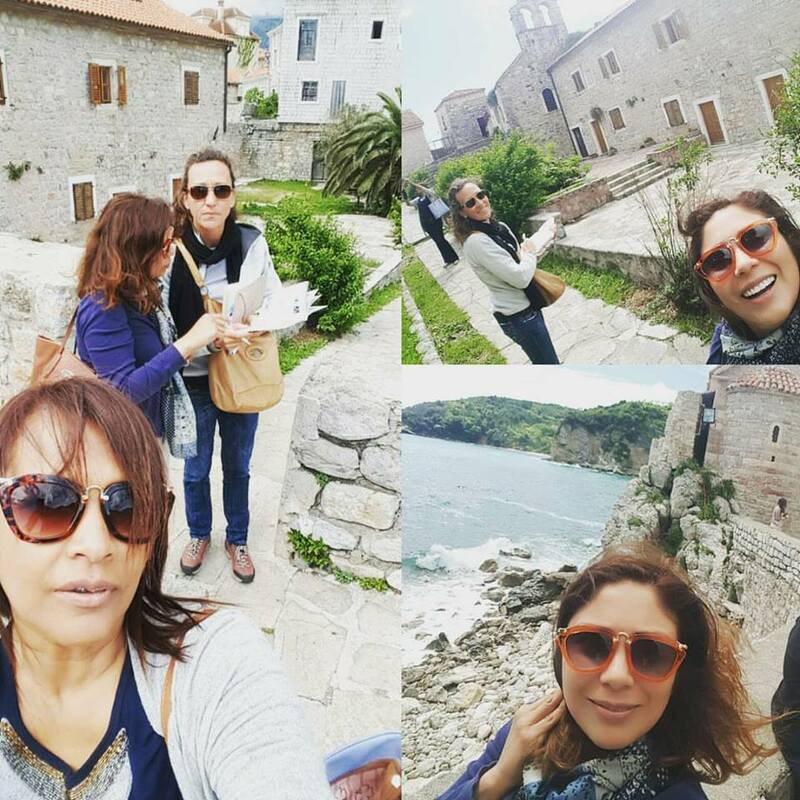 We went to Sveti Stefan, Budva,and Kotor. He made it so interesting and his restaurant recommendations were excellent. 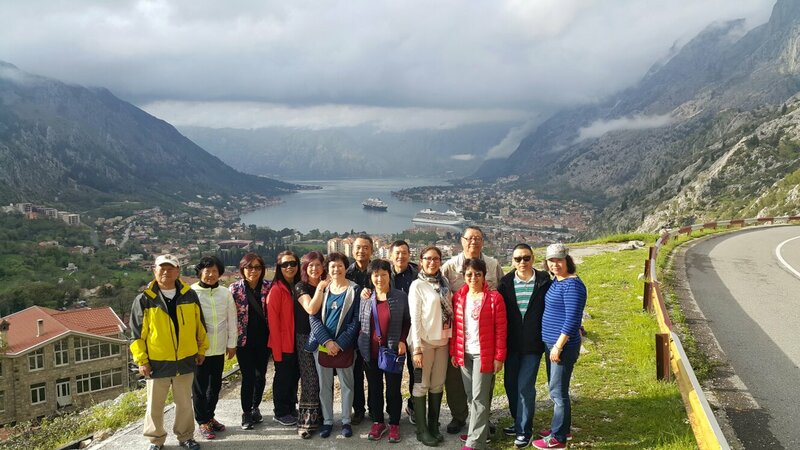 We would not hesitate to recommend Kotor tours.Thanks very much.